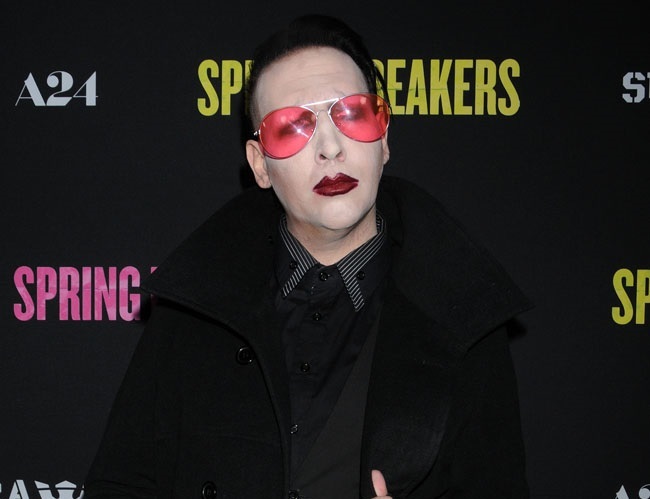 Marilyn Manson says he is looking to meet and date a nice girl who accepts his wild side as well as his real, everyday identity. The rocker – who was previously married to Dita Von Teese – considers himself a “wildcat” and has been described “as flypaper for crazy women.” This has led the artist to seek a down-to-earth and open-minded girl who can keep up with every side of him. When Dazed magazine asked about his type, the artist shared: “Nice ones. I’ve avoided that – unintentionally – in the past. Not naming anyone and saying that they were mean, but I think I’ve been described as flypaper for crazy women. It’s hard to take on that role when I’m so unreasonably unusual to handle. I guess I’m a wildcat. I find myself wanting to locate a girl who is truly nice, and understands both Brian and Marilyn Manson. It’s person and persona, it’s all of it, it’s a handful. The 47-year-old also insists not to take them too far on a first date due to being reasonably private about intimate moments. Finally, the star says that a date in his own home wouldn’t consist of ulterior motives as he simply doesn’t “put out” that easily.